Lisa loves John: Throwback Thursday: The Perfect Porch? In college, I lived in a house (dubbed the "peach house") with three other roommates. 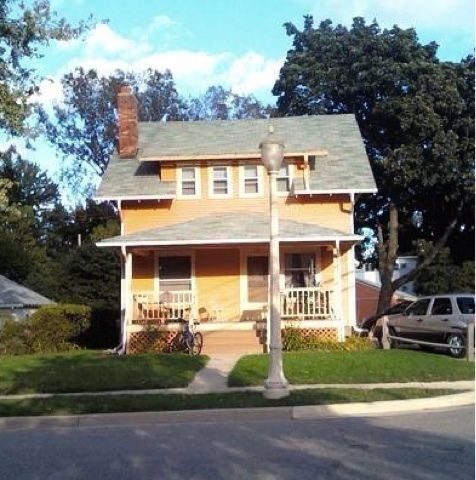 Although my roommates and I couldn't always appreciate the charm of our old house, it was a favorite for our friends and was well known with students for its awesome porch. Although the porch was a bit beat up, we had a pretty awesome swing that made for perfect seating while people watching and drinking a glass (or two) of wine. 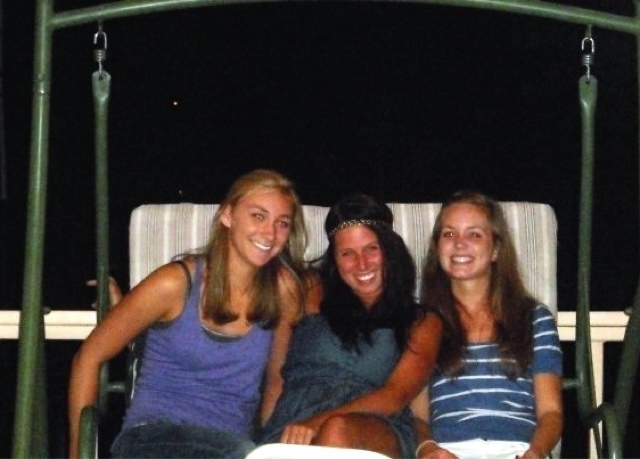 I'm pretty sure one of my roommate's mom, Amanda, found this swing in the garbage and drove it all the way from Chicago for us to enjoy - ohh the good 'ole days in East Lansing!